Every bedroom has its own design depending on the needs of the homeowner. Part of a bedroom is having enough storage areas in order to keep personal belongings and to ensure that the room will be clutter free. A bedroom with well arranged stuff looks orderly and would also create a great ambiance for relaxation. Hence, one would always opt to have his or her own storage area to keep everything. One will surely be glad to see the creative fitted sliding wardrobe doors and storage from Sliderobes. Sliderobes offer homeowners creative solutions to their storage problems. Aside from that, there are also matching bed furniture from Sliderobes which can surely help you get the bedroom design you want. Everything in it would surely appear as one since they are designed to jive with each other. 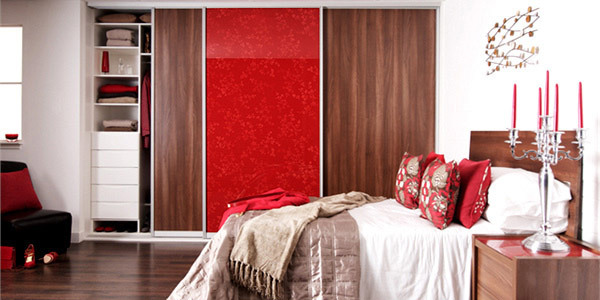 Whatever one wants for a bedroom design, it will be achieved with Sliderobes’ wardrobe doors and furniture. One will surely be glad to see the creative fitted sliding wardrobe doors and storage from Sliderobes. Sliderobes offer homeowners creative solutions to their storage problems. Aside from that, there are also matching bedroom furniture from Sliderobes which can surely help you get the bed space design you want. Everything in it would surely appear as one since they are designed to jive with each other. 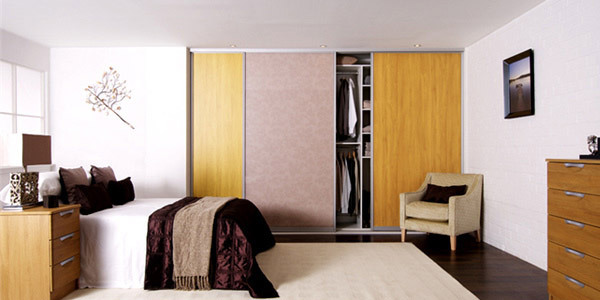 Whatever one wants for a bedroom design, it will be achieved with Sliderobes’ wardrobe doors and furniture. A bedroom with this unique touch of animal fur will make it distinct and elegant. Make your room chic with some damask patterns on its wardrobe and an stunning furniture set. Feel the privacy of your room with a black wardrobe giving a stronger impact to the entire look. Combine brown leather and white glass to make a room with a minimal and modern look. A bed space interior with a classic look with its dark wood wardrobe. Even an elegant female’s bedroom can have an added simple touch with this dark wood silver sliding doors. Create a more larger room with mirrors and shades of white. Beautifully designed bed area with the colors of beige and white. This one has some details of a crocodile leather and looks perfectly chic with its pink shade. Horizontal pink stripes makes this wardrobe totally stunning giving the room a very teeny appearance. Treasure your favorite belongings inside this red wardrobe for a more classy touch. Minimal and modern in appearance with a silver sliderobe and simple accents. Classic and elegant with reds and woods combined in this lovely bed space. Giving your bed space a personal touch will make it more private and you will surely feel that it is your own. It can be more comfortable for you if you sleep and rest in a bedroom that has a design that you love. With Sliderobe’s items, you will surely get the bedroom you dream of. But you can actually still come up with bedrooms similar to that of Sliderobe with the aid of experts. Consider these bedrooms as an interior design inspiration for you. You will surely be pleased to have a bedroom with these elegant items inside it. You can also take a look at more bedroom designs may it be for teens, children or a master bedroom. You can also get more design ideas for modern bedrooms and other bedroom designs.